We carry a complete line of fencing swords, rapiers, epees, foils, main gauche and fencing gear. We carry the full line of fencing rapiers and fencing foils from CAS Iberia, Paul Chen, Windlass, Marto and Toledo. All C.A.S Iberia, Paul Chen and Windlass swords are lightweight and fully functional to withstand the rigors of re-enactments. The blades are made from high carbon spring steel, for strength and flexibility. The rapiers include a top-grain leather scabbards (except where noted). 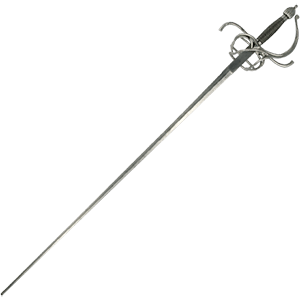 The rapiers and foils from Marto are for decorative use only unless otherwise stated. Decorative main gauche and rapiers are great for office or home decor, stage props, or a great addition to a prized collection of a sword collector. We have fencing jackets and masks to protect you during fencing practice and fencing pants to give you that authentic fencing look. 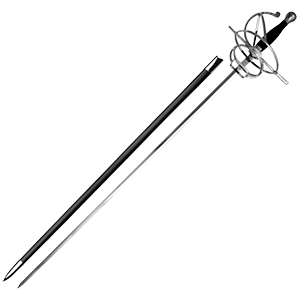 We have the popular rapier styles such as the Pappenheimer rapiers and swept hilt rapiers that are fully functional. We have a fine selection of high quality functional fencing Main Gauches. 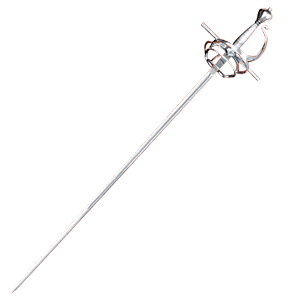 A Main Gauche is a left handed dagger that is used to guard when fencing. 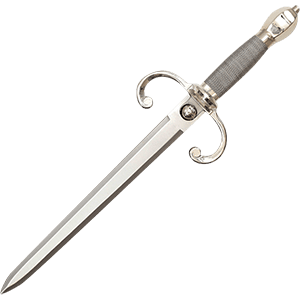 A dagger is to a sword as a main gauche is to a rapier. There are many different styles of functional fencing main gauches like Spanish, German and Italian. The Main Gauche was mainly used in the 17th Century. We offer a large variety of mostly functional (battle ready) and a few decorative Main Gauches.